Hide deals from seller "The Fit Stop"
Limit 1 per person; may purchase 1 additional as gift. Valid on 30 days of unlimited group fitness classes. By appointment only. New clients only. Promotional value expires 365 days after purchase. 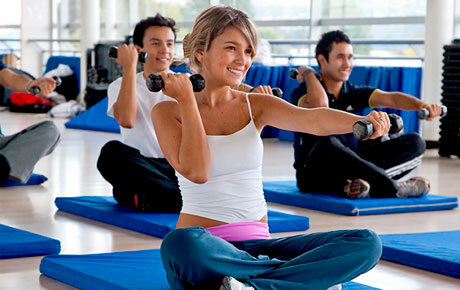 Train more efficiently with 50% off one month of unlimited classes at The Fit Stop in Crystal Lake ($90 value). These basic workout classes offer the latest fitness trends combined with traditional methods in a small-group setting. Wendy, trainer and owner of The Fit Stop, has been an athlete her entire life and recently opened The Fit Stop to provide clients a new approach to fitness. Their unique methods focus on smart training rather than hard training, and their convenient hourly classes allow clients to train on their own schedule. With the help of her background in bodybuilding and athletics, Wendy also offers specialized coaching and personal training. Fitness center in Crystal Lake offering personal training, group classes, dietary consultation and more.